I'm not even sure how to begin this conversation with you. My original thought was to share how frustrated I am with all the finger-pointing that various Christian factions are engaging in towards fellow Believers who are different than them. Accusations of heresy and diabolical practices are tossed back and forth, and unity among the Body is far from evident. The New Reformation movement thinks anyone involved with the Charismatic or Pentecostal branch of Christianity is practicing outside the boundaries of Scriptural doctrine. And any Christian who even hints that they believe in Healing or Deliverance is accused of being caught up in "Charismania". Have there been self-proclaimed people of God who have been misled, and who are misleading and deceiving Believers? Yes, on both sides of that spectrum! Just as in the Bible, men have sought to elevate themselves (rather than God) through signs and wonders -- I think of Simon the Sorcerer. But I can also think of several prominent pastors and teachers who preach against anything supernatural in our relationship with God, keeping Believers bound in theology that restricts the power of God in their lives. It goes both ways. And how does any of that benefit the Church? The bickering and finger-pointing only serves Satan's purpose, which is to keep us focused on our differences. That contributes to division and takes the focus off the validity of our personal testimonies. I think it is safe to say that the world doesn't want to hear the Doctrines of Men; our creeds, our theology, or our dogma. As Christians, we know that God wants a personal relationship with us. But why do we think that the world will be drawn into our buildings when the people of the world have made it clear that they reject our message? We must reach the Lost the same way that Jesus instructed His Disciples: But you shall receive power of the kind which God has [and exerts] after the Holy Spirit has come upon you. And you shall be those who testify of what they have seen and experienced, my witnesses, both in Jerusalem and Judea, and in Samaria and to the end of the earth (The Greek Translation of the New Testament). We must share our testimony of how we have experienced Jesus and the Holy Spirit in our lives! So, now I'm at the heart of what I want to say in this blog post ... how our personal testimony can both shine the Light of Christ into the Unsaved and strengthen the faith of our fellow Believers by sharing the power of God in our lives. Whenever I've got a nugget of knowledge or wisdom that I feel is important for us to consider, but can't quite flesh it out, I always take it to my husband, Mark, who can usually see it with spiritual eyes and help me get the bigger concept. This time was no different... he actually became quite passionate about what our testimony should accomplish. Using himself as an example, he said most Christians think their testimony is boring ... I was raised in a Christian home; attended Church most of my life; and can recall the day I accepted Jesus as my Savior. I accept that I am a sinner, that Jesus died for my sins, and I have tried to live a life pleasing to God. He said, "We think how we express our doctrinal beliefs or theology is our testimony. And if you're one of the lucky ones, perhaps you have a dramatic conversion experience when you realized you needed to change your life, and you found yourself on your knees, and asked Jesus to come into your heart". But then he went on to say, "Most of us don't have that. So where is the experience of God's presence being exercised in our testimony? Does it really speak to the needs of the Lost who are hurting, or to the Believers who need confirmation that God/Jesus/Holy Spirit still interact with us today? But there is still a reticence among Christians to share those testimonies with the Church. Believers who are willing to admit that demons exist are still cautious about sharing their personal, spiritual and supernatural encounters with Jesus and the Holy Spirit in which the demons attacking them have been thoroughly defeated. Why would we be willing to attribute some of our spiritual attacks to demons, but not be willing to share how Jesus and the Holy Spirit defeated them in our lives? Isn't that presenting the problem without sharing the solution? And when that solution was the presence of God, interacting with us in the spiritual realm, doesn't that provide the unmistakable power that our testimonies are missing? 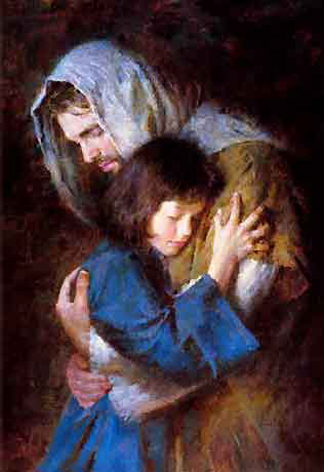 If we could share that Jesus actually showed up [in the spirit] and comforted us as we dealt with the loss of a parent, or a childhood molestation, or a miscarriage, or a time of profound doubt in ourselves -- and we felt His embrace and heard Him whisper, "I'm here with you; accept my healing in this situation", don't you think that is a more powerful [and persuasive] demonstration of Who we profess to have faith in? Which do you think the Lost will find it easier to identify with --- your personal testimony that speaks of the power of Jesus to heal your (and their) wounds -- or a sermon that speaks of a theological point that has no relevance to them or their experiences? And if Christians could be healed by sermons, then there would be no hurting souls sitting in the pews. But you and I know that is not the case. In the end, I see this as really simple ... I just wish the Church would quit denying what our Bible tells us; and quit defining this generation as "too enlightened" to believe in the supernatural character of God. The truth is that our rational, modern, and self-informed viewpoint has left us impotent when it comes to the attacks of the Enemy. As more and more Christians come to believe the literal Word of God regarding our Commission, they will begin to experience the literal power of Jesus in their lives, through healing and deliverance. And when they can share their personal encounter with the Living Christ, and how He healed the wounds of their lives, then I believe the Lost in the world will be drawn to that message and we will have the opportunity to share the full revelation of God. (I mean, that's how Jesus presented the Gospel!) Furthermore, the Church needs to hear that testimony of Power as well. They, too, need to know they can experience those personal and supernatural encounters in order to come into their full identity as images of Christ. Then the Church will be operating in the Power of Heaven (instead of their own authority); and the REAL POWER behind the word of their testimony will conquer the devil and his schemes. Psalm 107:2 "Let the redeemed of the Lord say so, whom He has redeemed from the hand of the adversary." I like this one. For the longest time I've sat with what I consider to be a weak testimony and one that I felt had little merit or the ability to incite inspiration. I met Jesus face to face in solo type deliverance and was wrecked by his honesty and grace. The problem is I don't feel I can bring this message to many believers who will receive it in a proper context much less friends or family. You have given me the much needed kick to proceed with truth and power. Thank you! If you stress that it is Jesus's power that healed you [and what you are trying to give testimony to], rather than sharing all the details of your deliverance, I believe that the Holy Spirit will honor your desire to glorify our Lord, and "those with ears to hear, will hear". God just needs a willing partner to advance His Kingdom. And I know He will bless your obedience! Can you explain how the people who have dramatic conversions are lucky? I had a dramatic conversion and it was because I had nothing left. I think those who didn't have a dramatic conversion are lucky because they got it figured out without having to hit rock bottom first. But you have had a REAL encounter with Jesus when you hit rock bottom! You have felt His presence and can verify that He still lives! Those whose conversion is less dramatic have only a decision they've made (although it is a most important one!) to hang their salvation on, and often question if they really know Him. There are many who would envy your experience just to truly know Jesus! The subject of the Church and state of our world is such a huge topic to discuss. I appreciate your exhortation to the standard and pray the greater ekklesia will go through revival. A friend suggested last night their doubt of any revival happening in the institutionalized Church, but nonetheless I pray God will continue to work through them. I cannot be consumed with trying to herald correction in the system I grew up in. What I've experienced over the last 10 years is the significance of small groups as the main course rather than a traditional gathering. I won't go into all the details because my point is that I've seen much greater effectiveness in my own walk, along with those with me, in small settings than corporate listen-to-the-sermon and go on your way congregations. Our testimonies are evidenced day-to-day as we watch each other struggle and overcome. Your statement, "And if Christians could be healed by sermons, then there would be no hurting souls sitting in the pews" is very true. For those of us who are preparing to minister through these troubled days and whatever is coming next, understanding our personal commission to do the work of God – and not relying on the big corporate body – is essential. We've seen more fruit from sharing our testimonies one-on-one with people than in a larger settings because we have the ability to interact with them regarding THEIR walk... again confirming your quote above. Jesus' conversation in John 3 comes to mind. Let's continue to equip ourselves for these purposes. Your blog is such an encouragement to do so. Thank you! You have expressed my exact thoughts, and have actually explained the success that smaller groups experience much better than I have. We will all be judged by our fruit, and I totally agree that being able to walk share one-on-one seems to reap a greater harvest than the corporate body. Thank you for such an excellent comment! I hear you! My experience has been interesting, to say the least! I have been sharing what happened with me with my deliverance from the Masonic generational curses and inner healing, and the reception has been lukewarm, to say the least! People look at me like I have two heads and am crazy! Recently I was sharing with a small group of friends and it actually turned quite heated. One person told me that as believers we have a blanket protection over us comparable to "diplomatic immunity"! That we are immune from attacks of the enemy, and demonic oppression or generational curses because we are "untouchable"! This magic force field around us that repels anything from sticking! So basically, my experience was all in my head because the enemy is banned from messing with us to the degree that we could be "demonized"! One person just kept quoting "greater is He that is in me than he who is in the world" and if I just remember that, I will be fine...safe...untouchable! What's so sad and frustrating is that I told them about my lifelong struggles with reoccurring problems...problems directly associated with the gods of the Masons...problems that pretty much disappeared after deliverance ministry! And still the blank looks and arguments. So, all that to say that sometimes, no matter what we testify to, the deception and mistruths that have been around these Biblical principles are so deep you wonder what it will take to break through! As it turns out, there may be breakthrough! In this particular group, four families have adult children that are about to fall off the wall...big issues that are monumental. I tried again...this time telling them that it was time to wake up and see that their children and families are under attack! And the "diplomatic immunity" was NOT working for them! That if they wanted to help their children, they needed to get serious about prayer and warfare, and maybe expand their theology! And several of them agreed! So now we are setting up a separate meeting time for this few to study more deeply and to begin to fast and fight for their children! All that to say that yes...we need to share what has happened in our lives...how God has rescued and delivered us...and if it doesn't go over well at first, to just keep right on trying and telling and pushing in...the days of ignoring the enemy and being content to live in a powerless faith are over! I think that as the days continue to grow darker, and the enemy bolder, the time is coming where people will listen because the events in their lives will be overwhelming to them and the old ways of doing thing will not be working anymore! Just wanted to share that it takes time, and perseverance, and patience...but that God is moving and I see big changes coming up ahead! I am excited as I keep on learning and experiencing more and more! The deliverance "door" opens up and leads to all the rest of the things Jesus said we will be able to do in His power and authority! It is a process and good things are happening! Keep up the fight! Boy, did I need to hear this from you! You are still a shining example of what Jesus can do to set the captives free, and I praise Him every day for the work He has done in your life! Your story is nearly a carbon copy of what we have run into over the last two years, and whenever I start to get discouraged, I remember Matthew 10:14 ... "If anyone will not welcome you or listen to your words, shake the dust off your feet when you leave that house or town". You have done your part in sharing the Word and your personal encounter with the risen Christ, and if they refuse or reject the Message, then move on to someone who will receive it. And if they are vehemently against the idea that Christians can be oppressed or "demonized", Mark has begun telling them, "It is your decision whether or not to study Scripture to see if this is true. All I'm going to say is, when you or your family are eventually attacked [as the days get darker], you'll know who to call". And then we wish them God's grace and move on. And I agree with you that things are changing, and there are small pockets of people who are waking up to what the Great Commission is really all about and coming together to study and disciple each other. I am so glad that you have found such a group. As I told you when we met, you have a testimony that will reap a great harvest for the Kingdom. I am so glad to know you are being bold with sharing it, and not hiding it under a basket! Seeing your name and comment today has brought such joy and hope to me! Thank you for taking the time to confirm the healing power of Jesus through deliverance! I hope everyone takes heed and follows your example. God's blessings on you and your family, my dear friend! I apologize for such a disjointed comment but I did want to chime in that there are those of us who hear and see and the others out there whom are called 'out of her' may have to see those whom He called first to be an example ?!! One last thought here, as We, His body, are being called together, as in Ezekiel 37's Valley of dry bones, there are those of us who are the eyes and ears, then those of us who may be just feet and toes or knees but those 'unseemly parts' , even though they are waking up slower , we have to remember that they are all part of His body and we are to consider them as 'more necessary'?!! Thank you so much for your comment! What a tribute to your faith in Jehovah Jireh! And thanks for the reminder that we are to continually share the Gospel of the Kingdom, and with much patience! I agree, that there are those who may be a different part of the Body and not like us. But that does not mean that they don't serve a purpose in the Kingdom. Endure with perseverance and patience... discerning who has a heart to hear and who has a heart of stone. The choice to receive or reject the message lies with each individual. It is our job to make the message available to all. Until the church can grasp high level engagement in their own mind known as seeing and traveling in the spirit, this whole concept of engaging God in the spirit seems like a new age exercise and they reject it. Im as frustrated as you are (and your reader Karla). The church just isn't going to go there so I don't really know how to show them what truth looks like. The same church that says they're free is constantly pummeled and tormented by Satan but they can't see the big picture. "How can they be free and yet their entire church body is wallowing in oppression from the dark side?'' ….confused? I agree that a large segment of the Church either cannot, or refuses, to see the truth of Scripture or our Commission. But we must continue to model it for them, as Jesus modeled it for His Disciples and the Believers in the First Century. Go back and read the Scriptures where Jesus shows His frustration --- calling even His Apostles an "unbelieving and perverse generation". Yes, we will be frustrated that they don't see ... but I believe that as long as we are obedient, we will gain ground from the Enemy and defeat his deception upon the Body of Christ. Will everyone be able to engage with God in the spirit.... I don't believe so. But He only needs a remnant to advance His Kingdom and it is our job to continue with our commission and to be representatives of the Kingdom!